On February 28, at Borgo Molino Vigne & Vini in Ormelle, it was organized the seminar focused on the identification of possible solutions aimed at obtaining the best performances in terms of primary energy, economics and the reduction of CO2 emissions. 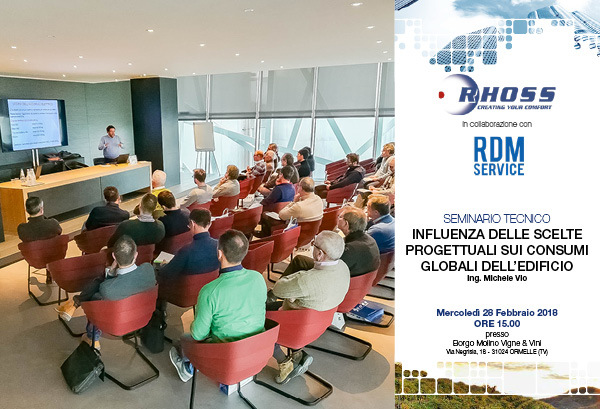 Thanks to this event it was shown also the results which Rhoss has led with researchers from “Energy Department of the POLITECNICO DI TORINO” and an important collaboration of Eng. Michele Vio.